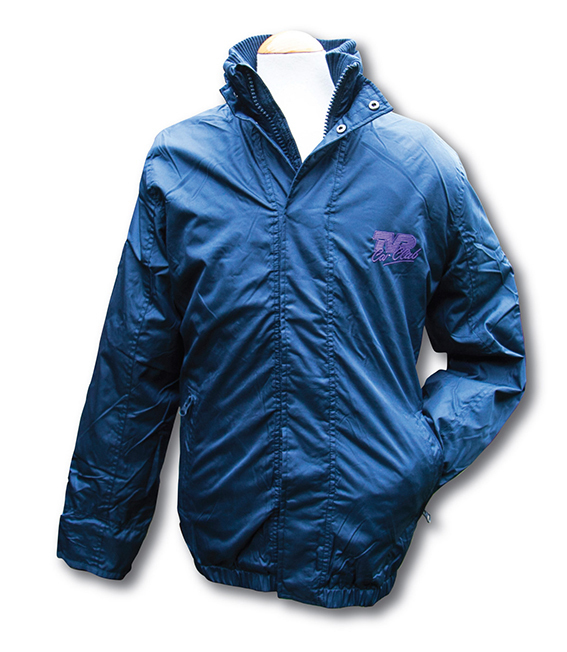 K6103 Fleece lined blouson jacket100% polyester baby ripstop with milky coating. 100% contrast Dark Grey polyester fleece lining. Full zip with studded storm flap. 3x3 ribbed inner collar. 2 front zipped and piped pockets. 1 inside pocket. 3x3 ribbed cuffs. Elasticated hem. Inner back and chest zip access for decoration. 30 degree wash. Do not bleach. Do not iron. Do not tumble dry.